Dr. Michael Howard (Mike) McCary died peacefully at his home, surrounded by family on March 20, 2019, at the age of 74. Mike was born and raised in Chattanooga. He graduated from Tyner High School and the University of Tennessee at Memphis Dental School. He faithfully served the children of Walker County for 40 years as a Pediatric Dentist. Upon retirement in 2006 his career led him to establish the North Georgia School of Dental Assisting in 2007. Mike was a member of LaFayette First Baptist Church for 43 years where he sang in the choir. He enjoyed being a member of his men’s Sunday School class. Mike was also a member of the LaFayette Lion’s Club for many years. He served as president the year they celebrated their 50th anniversary. Mike was a man of honesty, integrity, and hard work. 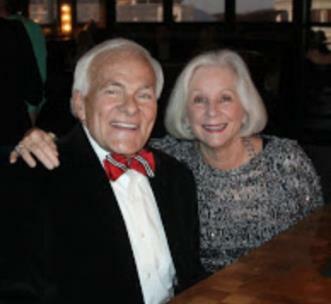 He selflessly loved his Lord, his family, and Julie, his wife of 50 years. All who knew him loved his warmth, friendship, and loyalty. His friends would say they experienced unconditional love and acceptance from him. Mike was preceded in death by his parents, Ben and Wanda McCary. He is survived by his wife, Julie McCary, his children Scott (Julie) McCary, Susan McCary, and Sara (Jonathan) Hartley, grandchildren Emma and Anderson McCary, Jase, Addison, and Halle Alexander, George Sholtz, Jett, Mac, Hank, and Kate Hartley, his brother Steve (Gwen) McCary, nieces and nephews. Visitation will be held at Wallis-Wilbanks Funeral Home in LaFayette on Saturday, March 23, from 4-7 p.m.
A memorial service will be held at LaFayette First Baptist Church on Sunday, March 24, at 2 p.m. In lieu of flowers, gifts may be made to the LaFayette First Baptist Youth Summer Mission Trip or the First Baptist Choir.